A good night’s sleep is one of the most important parts of a healthy lifestyle. Unfortunately, there are many people who suffer from poor quality sleep, due to reasons starting from sleep apnea to waking up with pains in the morning (and sometimes not even buying a new replacement mattress can help). Even if you haven’t noticed having big problems with regards to getting a good night’s sleep, on World Sleep Day (which is on March 14th this year) we should all take a moment to think about how we can improve our sleep quality. And usually in the process of getting a better night’s sleep, the first thing that you should consider is the environment in which you sleep. So here are some tips you can use to ensure that you sleep well every night on, whether it’s on you sofa mattress or RV and boat mattress. Perhaps the most important part of a good sleeping environment is a that it is quiet. Even if you are someone who can sleep through noise, the noise will still take you out of the deep levels of REM sleep that you need for proper rest. Make sure that you keep the door to the room closed to keep outside noise from disturbing you while you slumber. Or if you are on vacation, make sure your camper is parked as far away from the buzz and noise. This shouldn’t be a problem if your sleeping on a boat at see or even in the harbor. Another very important part of a good sleeping environment is darkness. Again, you may be able to sleep with lights on, but it light will keep you from getting the deep sleep you need for true refreshment. One of the best ways to ensure you have a dark room is to get curtains that are thick enough to block out the light shining on your sofa bed mattress. This is one of the trickiest parts of getting a good night’s sleep for couples. Often, one partner will like it cooler or warmer than the other partner. If this is the case, you should keep the temperature set at the cooler preference. The partner who likes a warmer sleep temperature can then keep warm enough by wearing extra layers to bed or by having a separate thicker blanket. 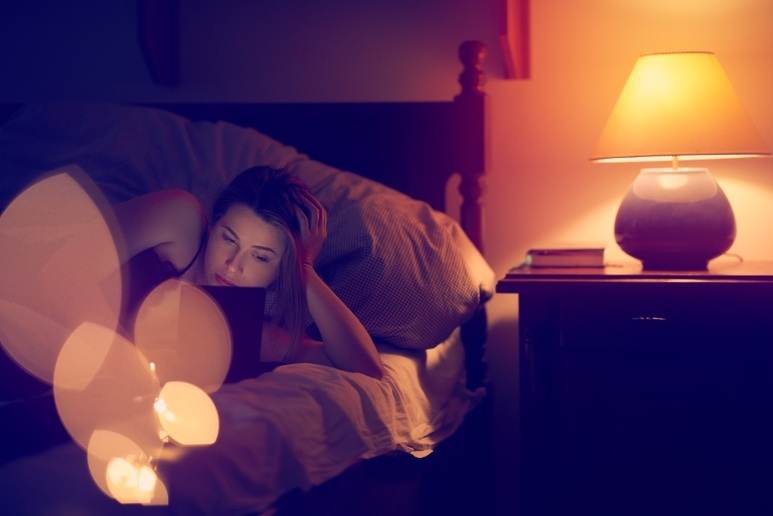 One of the worst habits that many people indulge in before bedtime is watching TV or using a computer. Any activity that involves looking at a glowing screen like this will lower the quality of your sleep. If you want to do a healthy activity before you go to bed, then reading is a great way to fall asleep. Just make sure that you are not reading on an iPad or other tablet. Reading on a Kindle is okay because reading the e-ink is similar to reading a print book. You can also take a walk if you want to do something physical to get you ready for bed. Just make sure that you do not do anything too intense for your physical activity. A hard workout will raise your adrenalin levels and make it harder for you to fall asleep. Keep your walk or any other physical exercise you do within a few hours of bedtime at a gentle pace to help you get a good night’s sleep. Women should keep in mind that studies show they need on average one extra hour of sleep every night compared to men. Make sure that you plan your sleep schedule accordingly to accommodate this. Women may want to head to bed an hour earlier than their partners to ensure that they get enough sleep to feel well rested in the morning. Which of the above tips are you tempted to try out starting today? Or do you have any other tricks up your sleeve?